Strong north wind, overcast and cool conditions this morning, I was not looking forward to fishing today. Tried to talk my anglers Rich and Matt from New Jersey out of going fishing today. They are here to fish and so we went. Headed to Key West Harbor to start in hopes there would be some tarpon around. Fortunately, there was a few big schools rolling around and we were the only boat around. 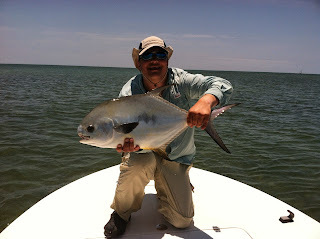 Matt jumped one and landed one about 40 pounds. That there made my day and I felt better about heading out this morning. 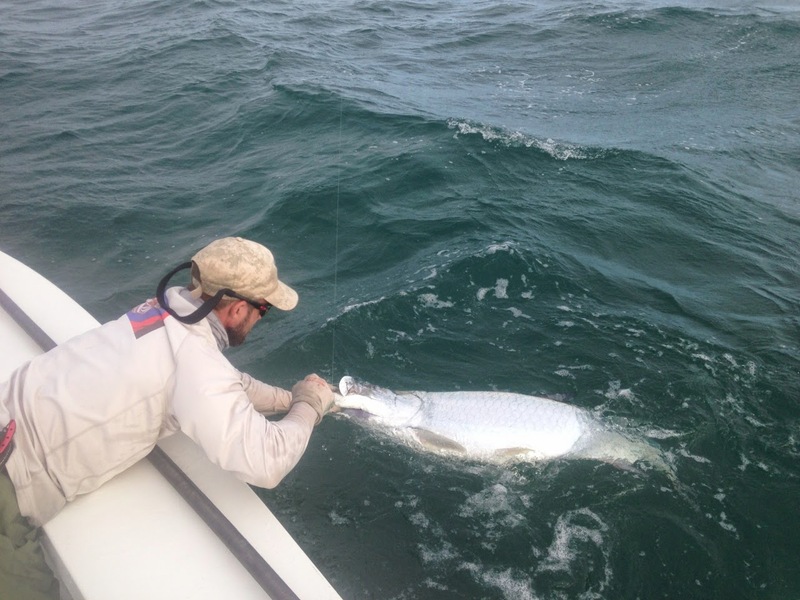 The poons soon disappeared so I headed up east to look for more tarpon and stay out of the whipping north wind. 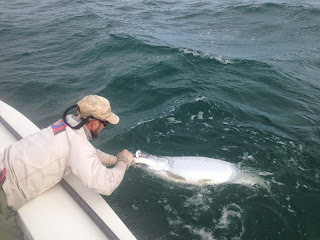 We had two more tarpon eat our offerings but didn't get a jump out of either. By some miracle the sun came out. Of course the 20 mph wind never laid down as forecasted. 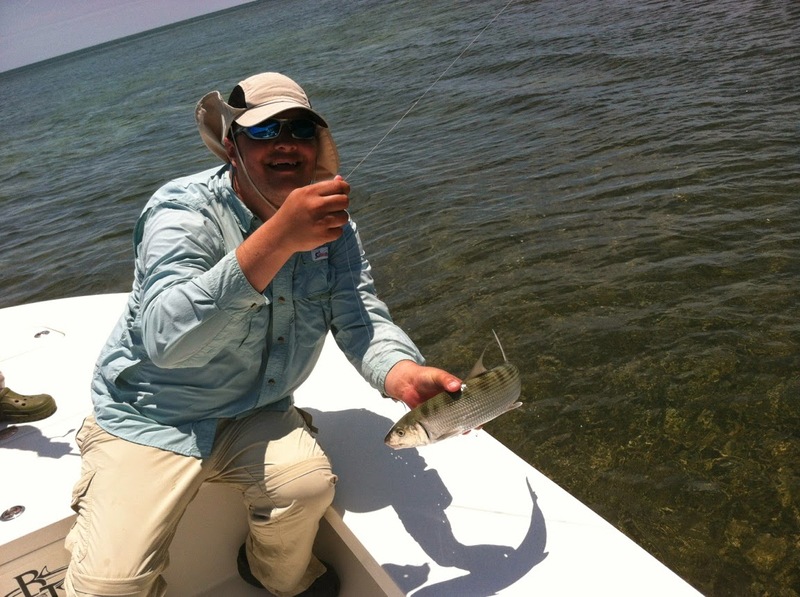 I poled along a couple of the mangrove islands hoping to find some bonefish. 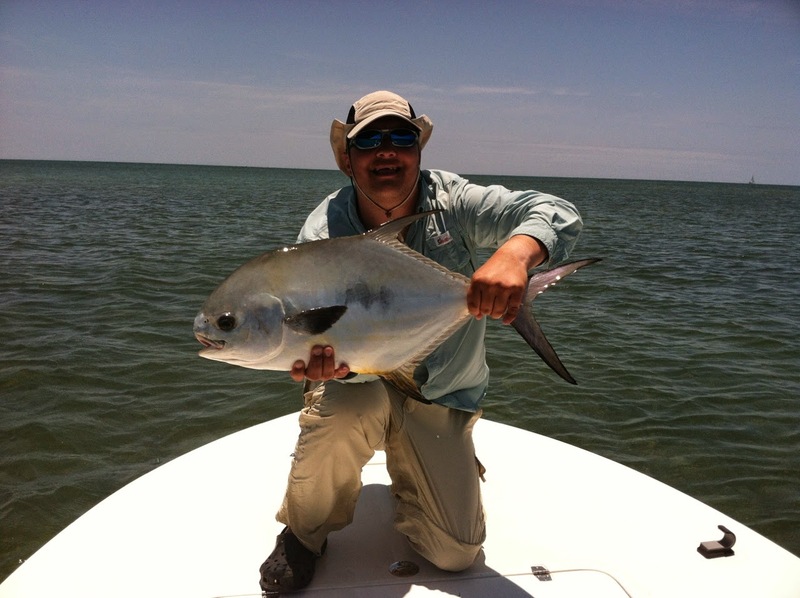 Down the one stretch Matt caught a bonefish and a few minutes later a permit to complete the slam. Not long after that Rich caught himself a bonefish. What started out as a day I was dreading turned into an awesome day on the flats with a Grand Slam and a fun day fishing with Matt and Rich. Thanks guys, looking forward to next year. Looks like an incredible adventure. Great job on the slam guys! nice trip, long time to see your new stories Captain Mike. Great trip and those fishes are huge. I'm sure you guys have enjoyed that trip. Anyway, how long it took to capture all of those fishes? Mike, I am pretty sure that the photos have been captured one after another; it seems I watch you catching fishes; however, do you use fish finder for fishing? Could you please suggest me one? What about these fish finders?